Relationship doesn't matter, although it helps. 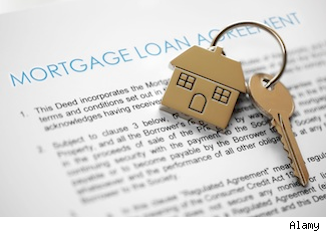 When you co-sign to help somebody else qualify for a mortgage, the relationship between you and the primary borrower taking out the loan doesn't matter, as long as it's fully explained and documented. Typically, it's immediate family or blood relatives who co-sign for another family member -- e.g. parents co-sign for their kids to buy their first home. Someone else's choices shape your chances. Let's say you helped your brother buy a home a few years ago by co-signing for him. But now he has fallen on tough financial times and subsequently has not been able to make his house payment obligation, resulting in a negative mark on his credit report. This delinquency will appear on your credit report as well, as you have just as much obligation on his liability as he does. Remember that the responsibility to make timely payments per the mortgage note -- no matter how the title is held -- is still 50/50 between parties. Get used to each other. All parties are conjoined. The person who you co-signed for will have to pay off the mortgage by means of refinancing you off the mortgage, or by selling the property, which pays off the note. You may want to consider living together. You don't have to live in the property you are co-signing for, referred to as a non-occupant co-borrower. However, if all parties purchase and live in the house of their primary residence, there is a greater level of transparency of financial status amongst the borrowers, which could mitigate difficulties down the road. Your borrowing power will be reduced. Planning to take out another mortgage? Your ability to get another mortgage, another credit card, another auto loan, etc., will be hindered to the extent of how much of your income and liabilities are being used for the benefit of the person you originally co-signed for. Simply put, to co-sign for someone else reduces your chances of qualifying for future credit obligations. However, if you can provide a 12-month history of someone else making a payment on an obligation you co-signed for, most of the time the obligation can be omitted, which would improve borrowing ability. Make sure you understand what co-signing really means. It means you are literally applying for credit by virtue of supplying income, credit worthiness, payment liabilities and assets for the purposes of procuring credit, i.e. a mortgage. People co-sign for other people to help secure mortgage loan financing, not knowing the full ramifications of what co-signing does for the long-term prospects of obtaining credit in the future. And a final mortgage tip: Two alternatives to co-signing that substantially help someone else include providing gift funds for a down payment and/or paying off someone else's debt -- both of which improve borrowing ability as loans are made against income.